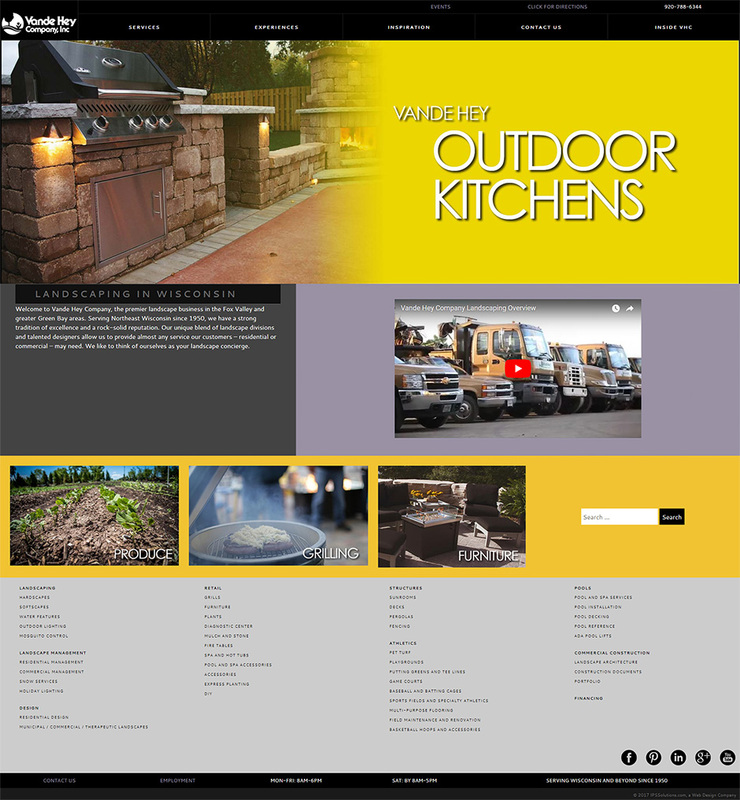 Vande Hey Company landscaping services in the Green Bay and Appleton area transforms the everyday backyard experience into unique outdoor dreamscapes. 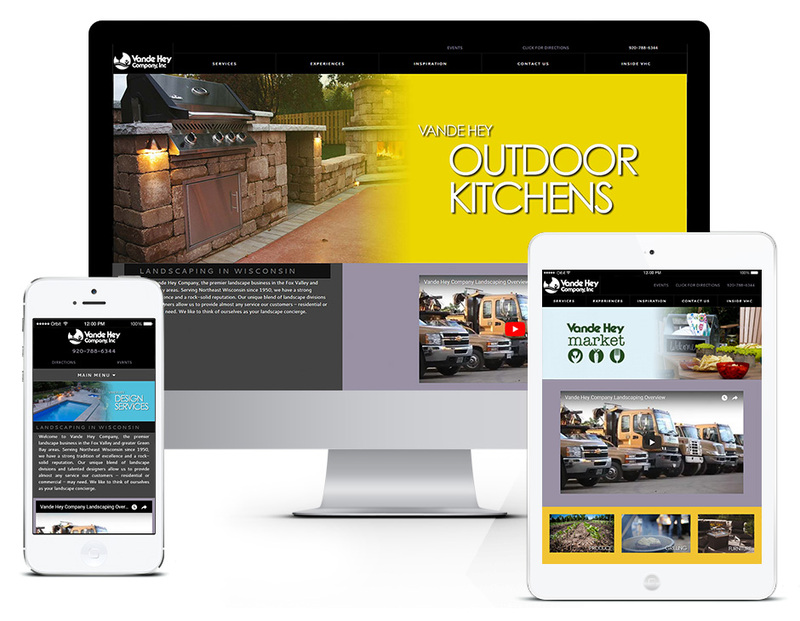 Their website redesign needed to be visually stunning and encompass their wide variety of residential, commercial, and retail services as well as their experience and dedication to quality. Simple navigation choices, large images, photo galleries, and a clean color palette are what give this website it's unique look and feel. In addition the website has a mobile friendly responsive design that adapts itself to different screen sizes for desktops, laptops, tablets, and smartphones.